Mailing Address & Headquarters: The Nonwovens Institute, The Center for Technology & Innovation (CTI), 1010 Main Campus Drive, NC State University, Raleigh, NC 27606. If you enter from the front of the building, please go to the second floor, walk all the way to the end of the corridor and then take the stairs or the elevator to level M. That brings you to our lobby. If you have parked in the CTI parking garage, you can enter the building on the first or second floor depending on where you have parked. Take the stairs or the elevator to level M. That brings you to our lobby. Airport Information: The closest airport (approx. 15 miles) is Raleigh Durham International Airport (RDU). 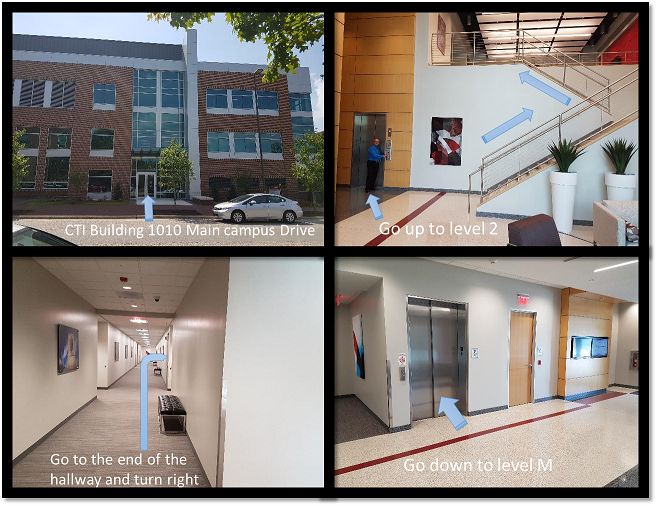 Directions: Our address for entry into GPS systems is 1010 Main Campus Drive, Raleigh, NC 27606. Parking Information: If you are visiting the Nonwovens Institute, you can park in the parking behind our building (The Center for Technology & Innovation) but you will need a code to get in. Please contact us before you arrive to obtain the code. Once on Varsity Drive, proceed to the stop sign and turn right onto Main Campus Drive. Continue on Main Campus Drive and make a right on Research Drive, then turn left into the CTI parking lot. You will need a code to get into the parking lot. Please contact us before you arrive for the parking code. For IAB conference rates, login to the members’ area and click on Hotel Information.